I need to make a fun resume like this. 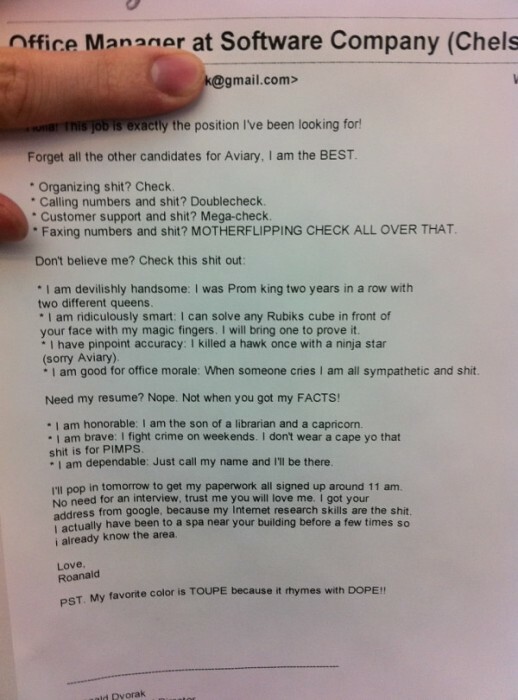 if i got this resume, i would definitely have the guy in for an interview. just to see what kind of crazy he really is. I’m a librarian AND a capricorn. This is what I call “PG-13 tough”. This man has handcuffed fear.